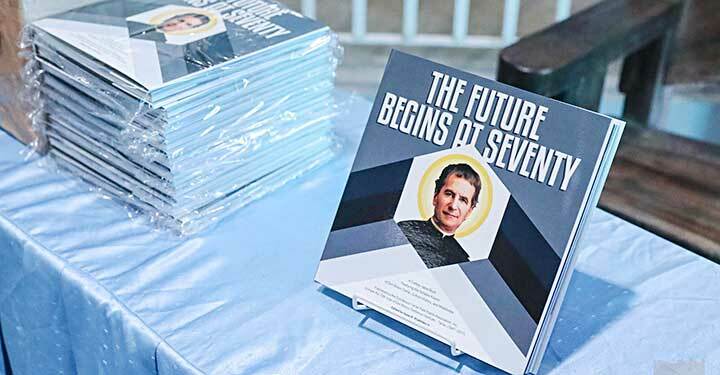 Tarlac City, the Philippines, 31 January 2019 -- Don Bosco Technical Institute in Tarlac had launched its first coffee table book on the Feast day of St John Bosco last 31 January 2019 entitled “The Future Begins at Seventy”. 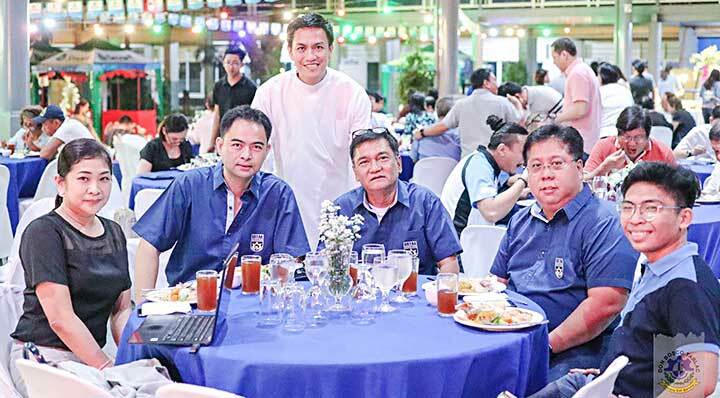 to mark the school’s 70th year of Salesian presence in the province of Tarlac and in the Philippines, being the first Don Bosco school in the country. At the launching, Fr Jerry Santos, Rector and Salesian alumni delegate, DBTPPA President Joel Viray, and members of the Salesian Educative Community congratulated the school’s notable alumni as models of Bosconian Servant-Leadership and gave them complimentary copies of the book. 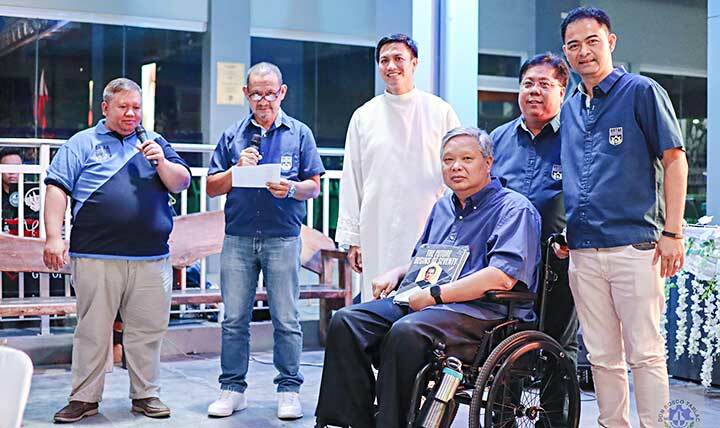 The book, a brainchild of former DBTI-Tarlac Rector, Fr Jayson David, presently Vocations Director for the Salesian Philippines North Province, was edited by Isaac Kliatchko Jr. of Batch ’76, a teacher at DBTI-Tarlac (1982-1986), and former reporter and page editor of the Philippine STAR and Manila Bulletin. Kliatchko, in the book’s preface, said: “Through this coffee table book, the DBTPPA Board also recognizes the providential nature of our alumni body, from its early beginnings under its first president, the late Alberto “Bert” Soliman, of Batch 1957. 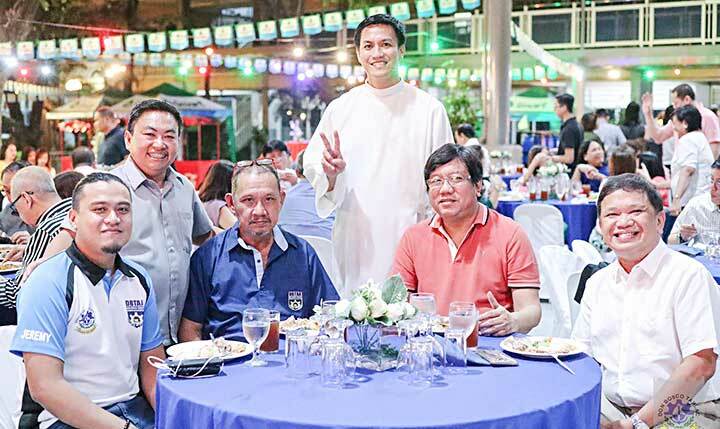 “Other presidents took the helm of what was then the Don Bosco Tarlac Alumni Association. With their leadership and dedication, the alumni association succeeded in mobilizing more past pupils to collaborate and help the school acquire more facilities, build more classrooms, achieve requisites in the accreditation ladder, and include in its coverage primary and senior high school students. 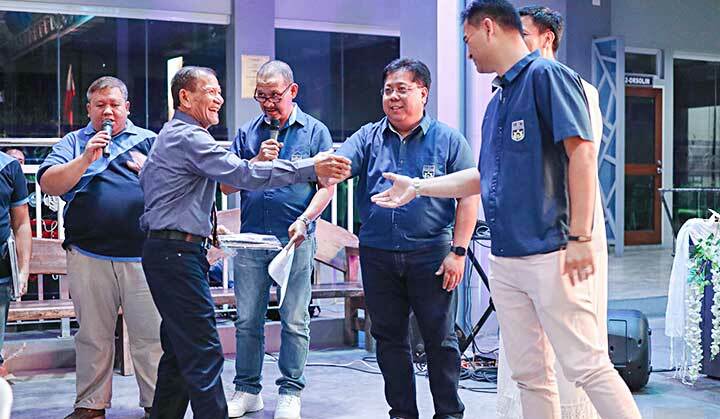 Recently, school officials also celebrated a milestone during the ground-laying in Pangasinan of the first Don Bosco Tech-Voc Satellite School in the country. This will operate under the auspices of DBTI Tarlac. 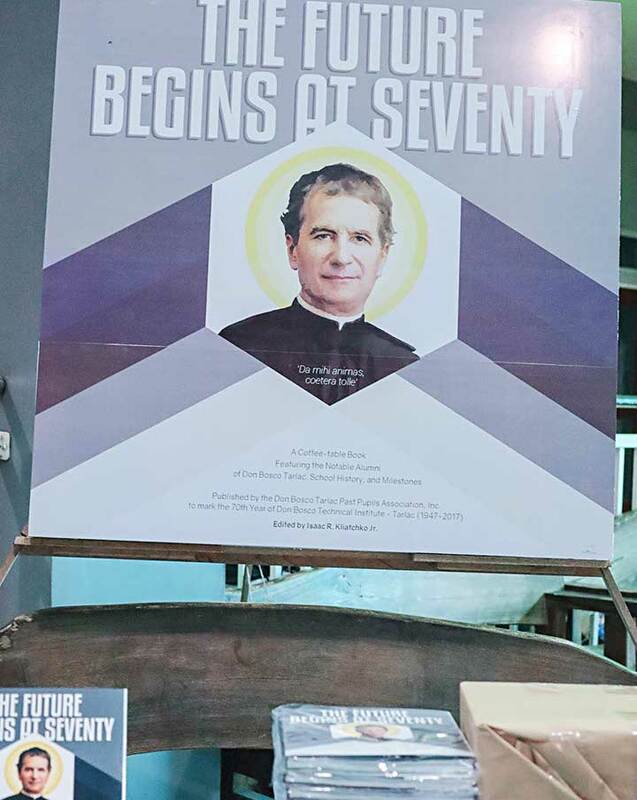 The DBTPPA believes that the book would help cultivate in the hearts of Tarlac Bosconians the love for Don Bosco, for Mama Mary, for the Alma Mater, for fellow alumni, the trust for the Salesian Education; and for the present students, to set their goals toward noble ends, to become honest citizens and good Christians, as Don Bosco had envisioned. Copies of the book are available at DBTI-Tarlac. Interested parties may get in touch with Ryan Gonzales, DBTPPA Secretariat at 0917-501-4420 or email him at rdgonzales@one-bosco.org. You may also text or call the editor Isaac Kliatchko Jr. at 0917-645-5243 or email him at ikliatchko@yahoo.com. 5004(I)_"Only by doing good to others do we understand our vocation"
5003(II)_"I dream of a formation that will attract young people"